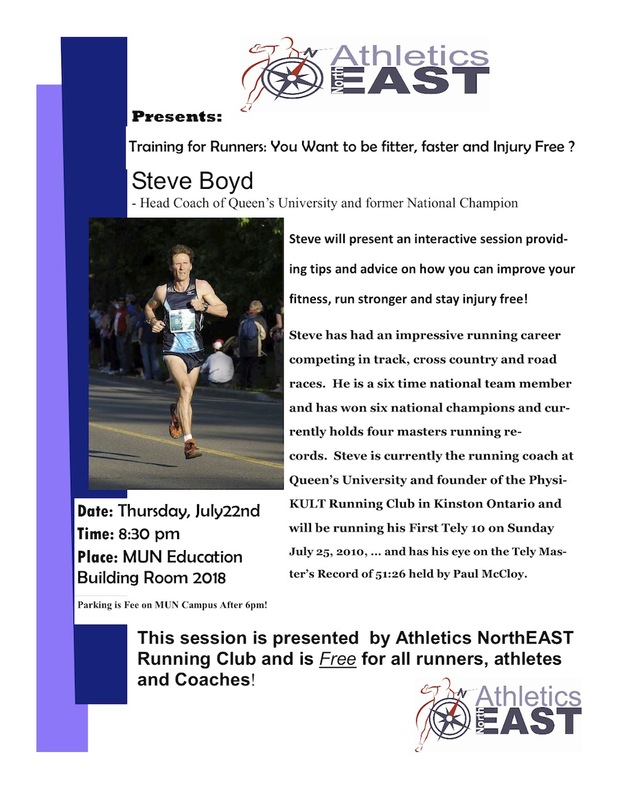 Top Canadian Masters runner Steve Boyd will give a talk and take questions next Thursday July 22 8:30pm at the MUN Education Building Room 2018. Steve has been coaching Colin Fewer for the past year, and is the founder of Physi-KULT Running. This session is presented free of charge by Athletics NorthEAST.